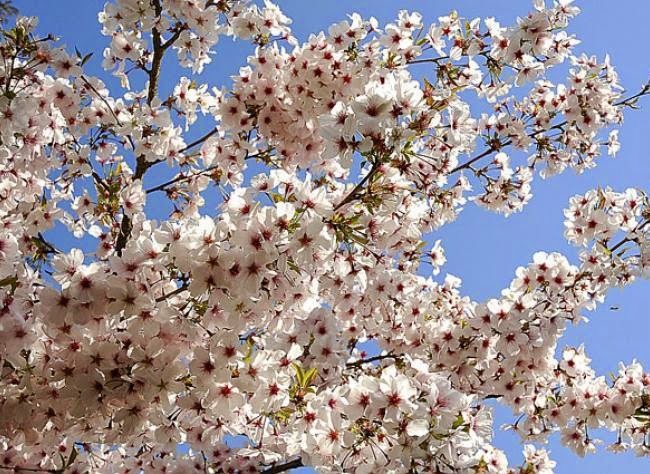 For those in the know, Japanese flowering cherries are collectively known as ‘Sato zakura’ which means domestic, village or cultivated cherry trees, and as a group they are solely grown for their ornamental qualities. Of course there are many other flowering cherries cultivars that have been developed from northern hemisphere species and these are often erroneously grouped together with Japanese flowering cherries. However for the purpose of this article only the true ‘Sato zakura’ are considered. Japanese flowering cherries have been extensively bred for over a thousand of years and so its not surprising that a huge number of cultivated varieties exist, most are of an obscure origin and differ in form, flower, fragrance, and vigour. Some are hybrids, while others are undoubtedly cultivars developed from Prunus speciosa, Prunus jamasakura and Prunus serrulata var. spontanea. The various cultivars bloom at different times of year from late March through to late May. The blooms themselves will vary greatly from large petals pure white to creamy-yellow, and all shades of pink, usually semi-double or double-flowered in between. Sadly the majority of cherry blossoms are usually scentless. 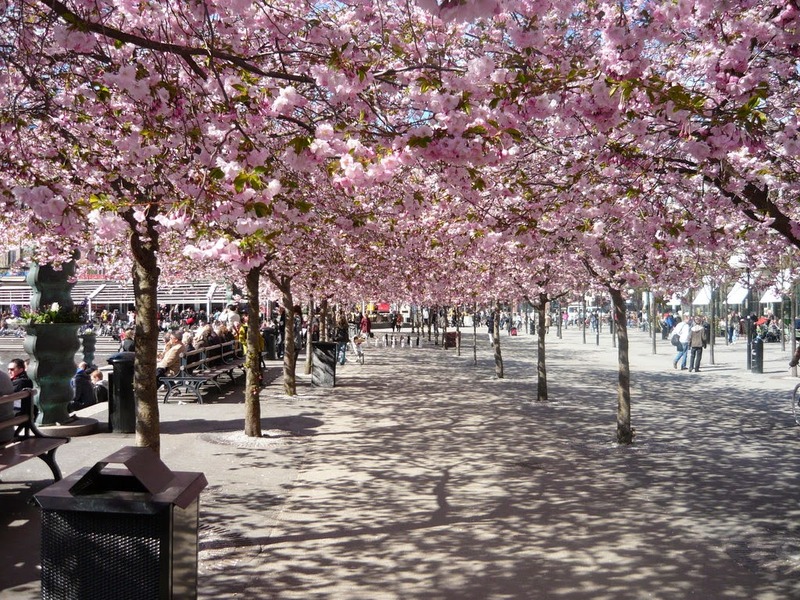 Compared to wild cherry trees, the branches are stout, the leaves large, and the young foliage is more often than not bronze rather than pure green in colour. Furthermore, with only a few exceptions most Japanese flowering cherries will produce excellent autumn colour as their leaves turn from shades of yellow to a burned orange. 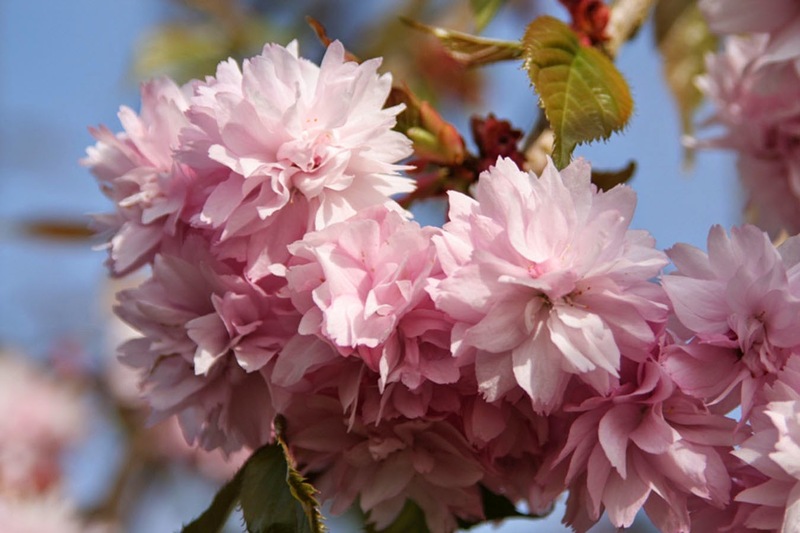 The majority of Japanese flowering cherries are small trees which have proven themselves to be easy to cultivate. They vary from low and spreading to tall and erect in habit. Like their edible counterparts, Japanese flowering cherries will do well in all soil types, including chalk soils, just so long as they are free draining. Over the winter the buds of the Japanese flowering cherries can be subject to bird damage, although this is rare. It isn’t usually necessary to prune Japanese flowering cherries unless it is to remove diseased or damaged branches. If pruning is undertaken it should be carried out in late summer to that the wounds get a chance to heal before the onset of winter. This a small columnar tree with erect branches and dense upright clusters of fragrant semi-double, shell-pink flowers. 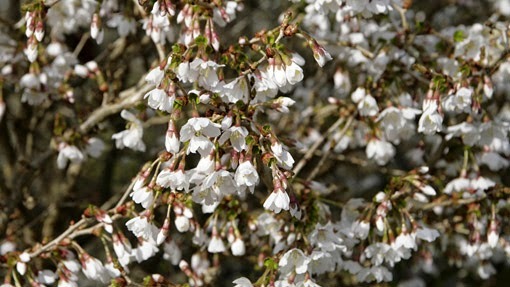 Prunus ‘Amanagawa’ will bloom from mid-April to mid May. The young leaves emerge a greenish-bronze and mature to a virid green. This beautiful small tree was raised by Captain Collingwood Ingram. He was responsible for breeding many cherries grown at Wisley and for reintroducing Prunus ‘Taihaku’ to Japan after finding a plant growing in Sussex. Prunus ‘Kursar’ is one of the best plants he raised and has masses of small deep pink flowers and fantastic autumn colour. In spring this small cherry, which has a dense shrubby growth habit, is smothered with large single white flowers. The anthers are a vibrant red which stands out well against the white petals. This is one of the finest Japanese cherries and has a wide spreading growth habit. Its produces large double pink flowers which hang from the branches in clusters. The double pink flowers quickly fade to reveal a beautiful pure white. During April this tree is covered in masses of large light pink semi-double flowers. It also has some of the best autumn colour as its green leaves turn a vivid rich orange/red colour. This cherry has a spreading growth habit. This delightful small cherry is very slow growing and compact, making it suitable for growing in containers. Its branches have a fascinating zigzag growth habit and these are covered in small, blush pink flowers. In autumn this cherry will reward you with great foliage colour. This is a striking cultivar producing bright, double pink flowers which hang in drooping clusters from the branches. The leaves are a delicate bronze colour when young, before turning green and then a bright fiery red and orange in the autumn. Keukenhof, Holland - the best spring garden in the world?